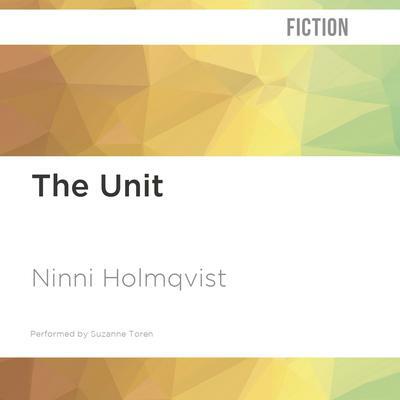 Ninni Holmqvist’s uncanny dystopian novel envisions a society in the not-so-distant future, where women over fifty and men over sixty who are unmarried and childless are sent to a retirement community called the Unit. They’re given lavish apartments set amongst beautiful gardens and state-of-the-art facilities; they’re fed elaborate gourmet meals, surrounded by others just like them. It’s an idyllic place, but there’s a catch: the residents—known as dispensables—must donate their organs, one by one, until the final donation. When Dorrit Weger arrives at the Unit, she resigns herself to this fate, seeking only peace in her final days. But she soon falls in love, and this unexpected, improbable happiness throws the future into doubt. Clinical and haunting, The Unit is a modern-day classic and a chilling cautionary tale about the value of human life.